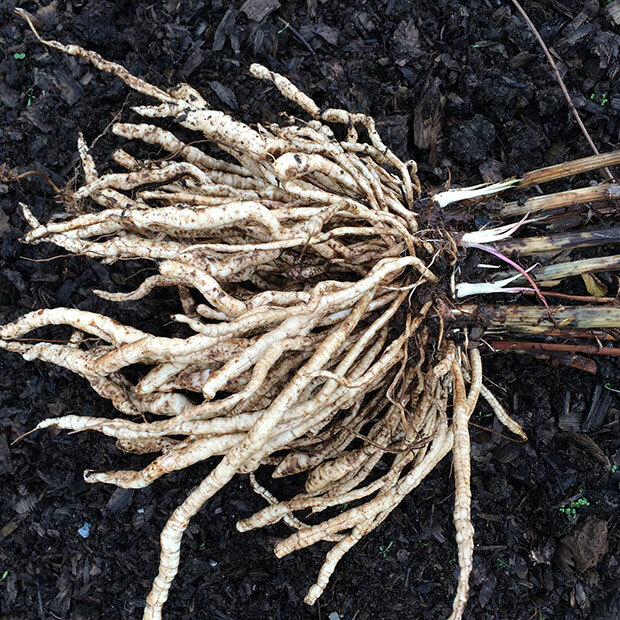 Skirrets are a hardy perennial root vegetable with skinny parsnip type roots. Skirrets can be grown from seed or from purchasing a crown or root offset which will give you a head start. 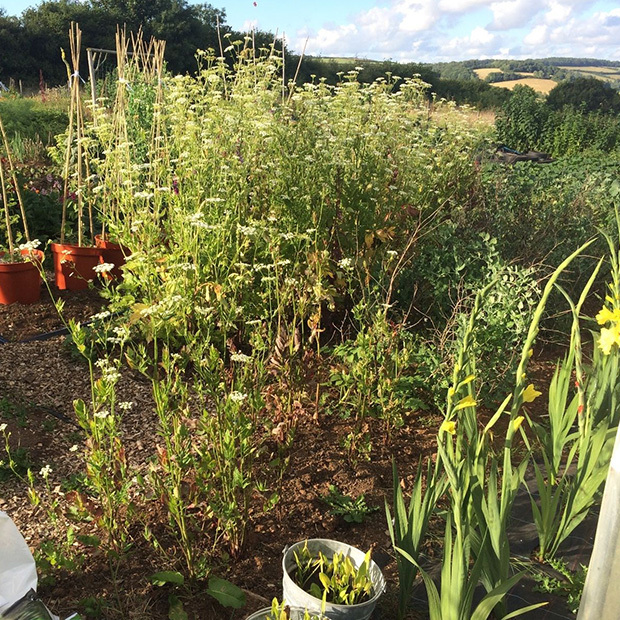 These seeds (pack of 100) were gathered from our plant stock in September 2016 and were grown using organic methods. 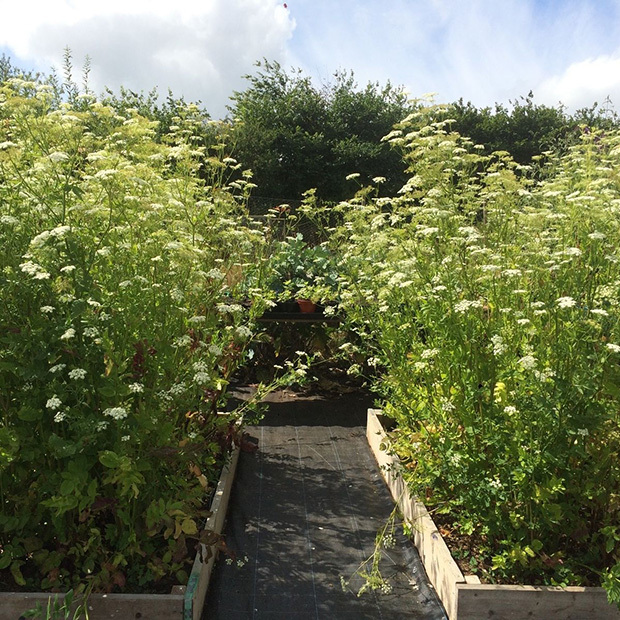 Each pack contains 100 fresh Skirret seeds to start off your own skirret colony. One sowing is all you need and you can collect your own seed and divide up your own plants once established. Sow in the Spring direct or in trays to be transplanted later. Our skirrets were featured on BBC Two’s Gardeners’ world on 22 April 2016 with Monty Don planting out some of our crowns grown from our seed in his Tudor vegetable garden. 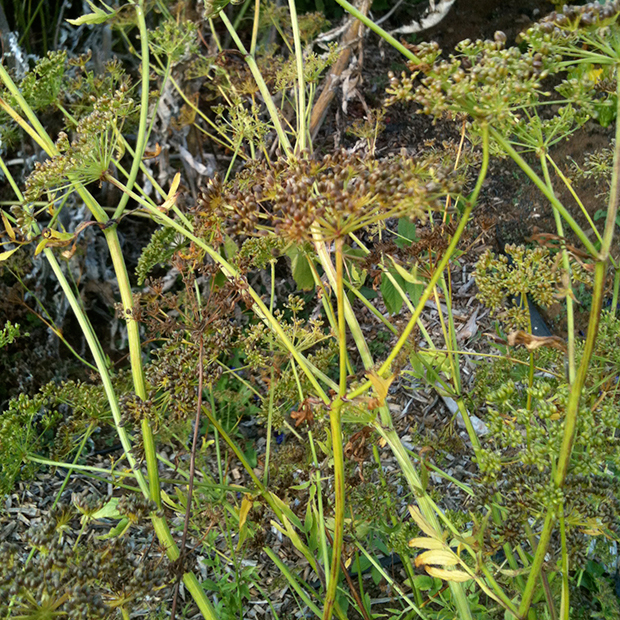 Skirret, latin name Sium Sisarum, also known as a perennial parsnip. 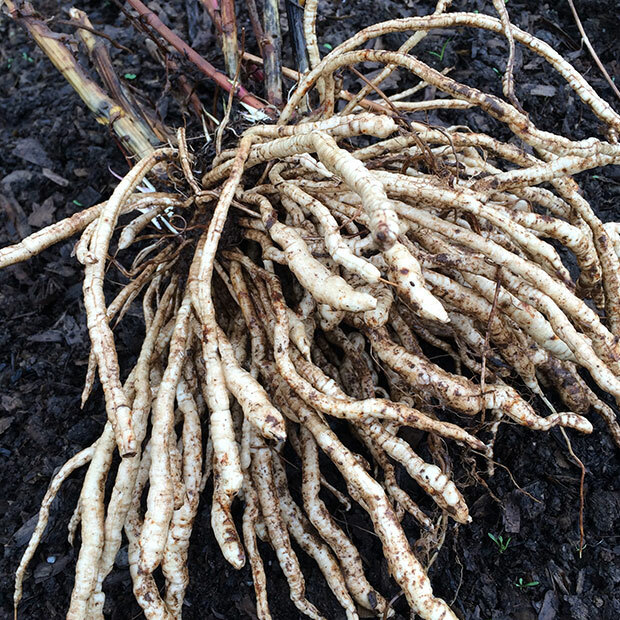 Set up your own perennial skirret patch with one sowing – skinny parsnips for ever more! 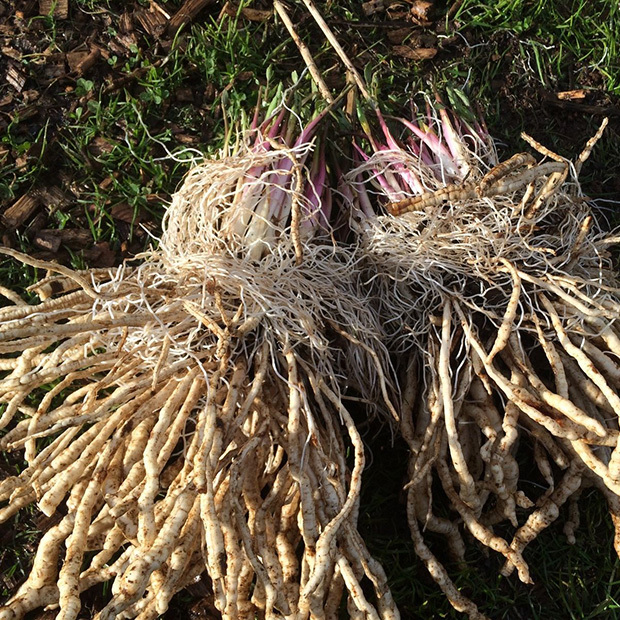 Help bring back an amazing ancient perennial root vegetable by growing some in your garden. 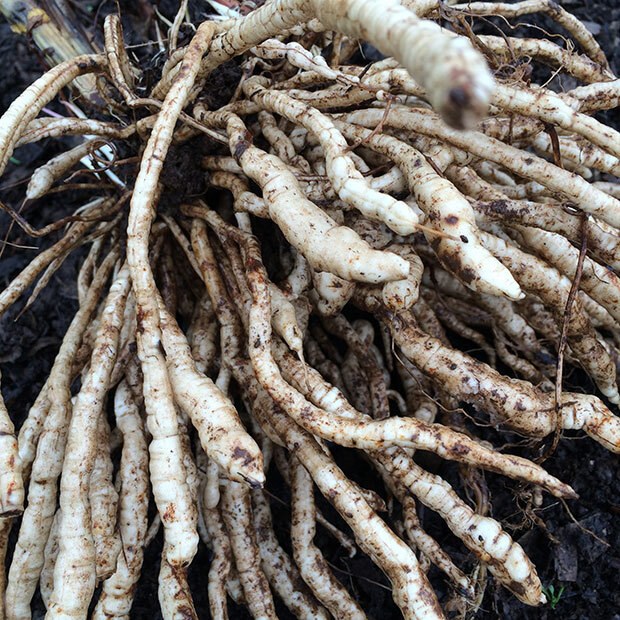 A great substitute for annual parsnips without having to sow seed every year. Buying Skirret seed is an economical way to start you off. Skirrets are a very hardy rare perennial vegetable plant not easily found in the UK and members of the Apiaceae family. They date back centuries, pre-dating the potato, and were one of the main root crops eaten across Europe before potatoes were introduced. They fell out of favour because potatoes were easier to prepare, not because of the taste. Skirrets actually taste somewhere between a Parsnip, a Carrot and a Potato. In the Tudor and Stuart periods they were part of the kitchen garden and were used in sweet & savoury dishes and such things as ‘Skirret Pye’. Skirrets are best sown in Spring between March and May. Sprinkle Skirret seed thinly in a tray of compost and cover with a light layer of compost. 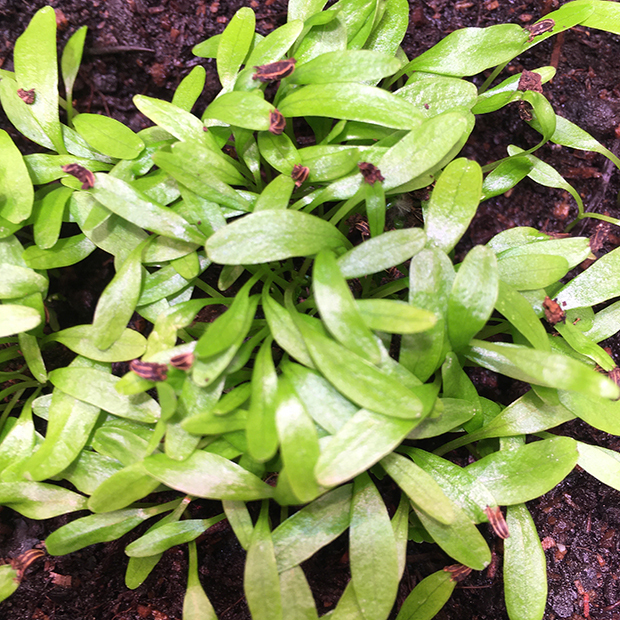 They will take 3-4 weeks to germinate but they can be erratic germinators with some germinating immediately and others taking quite a few weeks, so don’t worry if you don’t see seedlings appearing right away. They need a temperature of between 10-22c to germinate so a heated propagator can help them along. 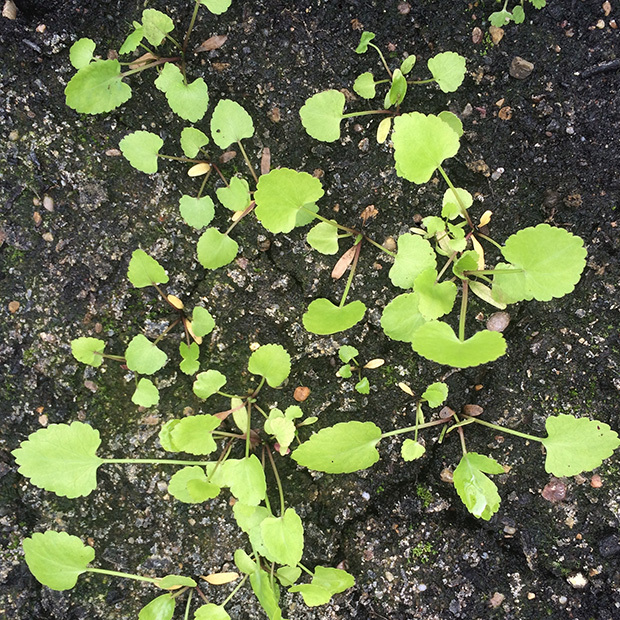 Once seedlings are large enough to handle, prick them out and transplant into pots. They do not mind being handled and transplanted. I have found that slugs nibble small plants so allow yours to get a bit of top growth before planting it out. You can sow directly if you prefer from March to May when the soil has warmed up, but getting them established in pots does help against the early nibbling! Plant them out about 30 cm apart in a sunny spot. 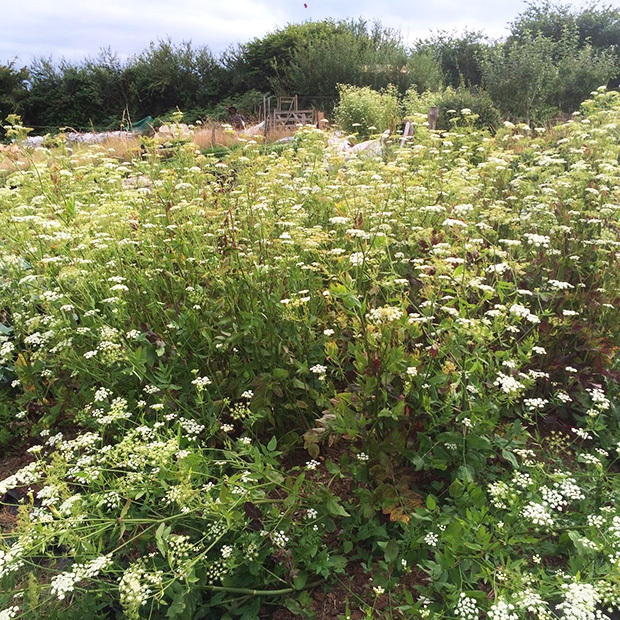 Over the summer the plants will get to about 4-6ft tall producing heads of lacy white flowers and the foliage then dies back in the Autumn. The roots will be small in the first year, so in their second year in Autumn you can check to see what the roots are doing and harvest some for eating and divide the rest to make new plants. Pick the straightest, largest roots to make new stock. You can also divide plants in the spring and pinch off little ‘offsets’ these are growing tips with a little bit of root attached and pot these up. The Skirret will self seed as well. Once established you should get sweet, tasty roots to harvest. Skirrets like rich deep soil with lots of organic matter, but soil that is friable. They need to be well watered to stop the roots from becoming woody and enjoy some liquid feed. The flowers are beneficial for insects. 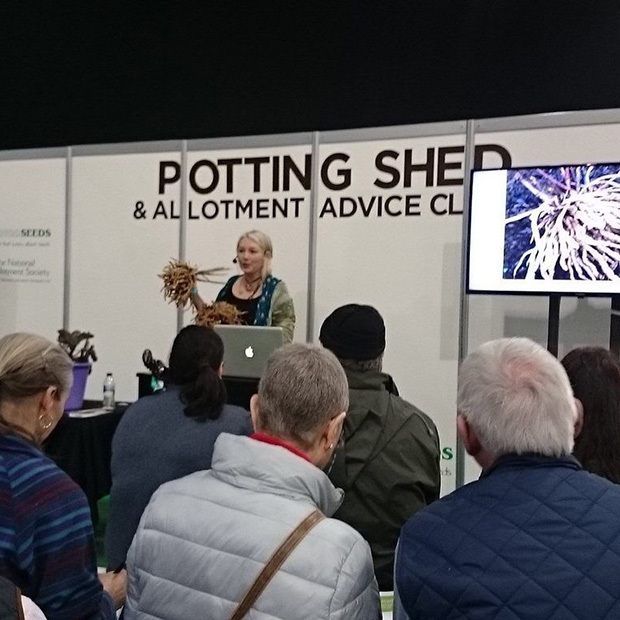 It is a good idea to let some of your plants stay in the ground for 2 years undisturbed to mature to get really good sized eating roots and have plants growing at different stages of development so you have a choice of roots to eat and also to propagate from. Use Skirrets raw as a munchable snack, or parboil and deep fry, or roast in the oven with olive oil. They also make a lovely soup, good as a rosti or in a pasty with other root veg.